IRKUTSK, May 28. /TASS/. 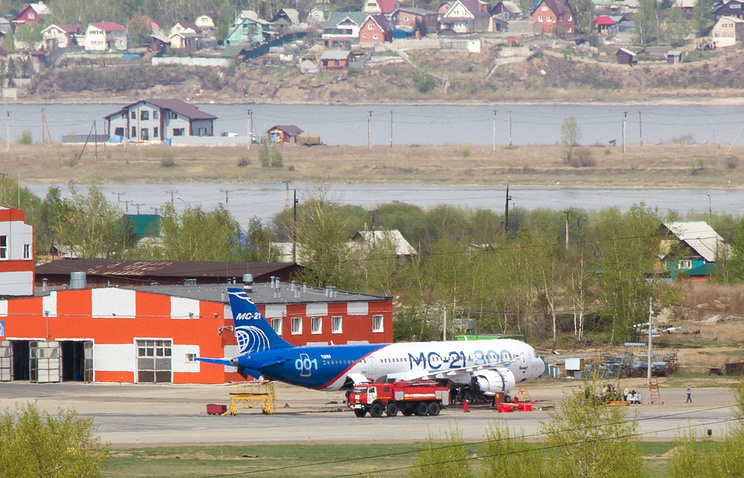 MC-21 short-and medium-haul passenger plane made the first flight in Irkutsk, a source at the Irkutsk aviation plant (the Irkut Corporation) told TASS on Sunday. "The plane was successful," the source said, refusing from further comments. Witnesses have posted a few recordings on Youtube. One of the videos shows the plane fly above the audience, which welcomed it with applauses. The MC-21 is the family of short-and medium-haul narrow-body airliners intended to replace Tupolev Tu-134 and Tu-154 planes and also their Western rivals. In Russia’s new history, only one airliner, the regional Sukhoi Superjet 100, has been manufactured from scratch. The plane performed the first flight in 2008 and was made operational in 2011. The MC-21 has a flight range of 6,400 kilometers (3,977 miles), while the Sukhoi Superjet 100 can fly at a distance of 4,578 kilometers (2,845 miles). The MC-21 will be able to carry 211 passengers, while the Sukhoi Superjet 100 airliner’s seating capacity is 108. The first flight of the MC-21 airliner was scheduled for December 2016 and its serial assembly was planned to begin in 2017. Later, the first flight was postponed to April and then to late May. The current portfolio of orders for MC-21 is 285 airliners, 185 of which have been contracted on prepayment. The first client is Russia’s Aeroflot, which plans to have 50 MC-21 in its fleet. In April, the company’s director general, Vitaly Savelyev, said they expect first three airliners in 2019.